Samsung is making plenty of headlines at the moment, with a huge Samsung Galaxy S10 leak, and the Korean giant looking to acquire the company behind Oppo's 5x and 10x zoom technology. The company is hard at work on its own tech, too, having just unveiled a brand new 20MP smartphone image sensor – which is also the world's smallest, measuring just 5.1mm (1/3.4 inches). The ultra-slim Isocell Slim 3T2 delivers high resolution images for both front and back cameras, and should provide the imaging backbone for the next wave of slimline smartphones, which need the smallest possible sensors for their punch-hole or notch design. “As the demand for advanced imaging capabilities in mobile devices continue to grow, we will keep pushing the limits in image sensor technologies for richer user experiences,” said Jinhyun Kwon, vice president of System LSI sensor marketing at Samsung Electronics. The sensor uses Samsung's Tetracell technology to enable four pixels to "merge" and operate as one, resulting in larger photosites that result in the 3T2 taking brighter and sharper images in low light, with better colour reproduction. 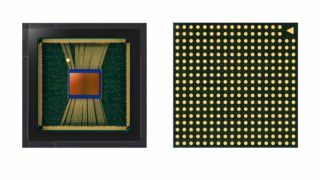 With such a compact form factor, the sensor can reduce the height of Samsung's tele-camera module by around seven percent.